A great beer satisfies on many levels. It quenches the thirst, appeals to the eye, flirts with your taste buds and calms the nerves. 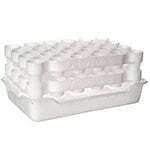 It’s also the best accompaniment yet devised for bbq fare and parties great and small and if you’re not enjoying a tall one while you’re at the baseball game, well, we just don’t know what to say. To pay homage to this most versatile and satisfying of adult beverages, we’ve brought together a list of the 20 best tasting beers in the world as rated by beer drinkers, including our very own panel of eager judges. So pour yourself a cold one, sit back and enjoy and find out what’s the best beer to try. The top beer on our list has a robust flavor, enchanting aroma and rich mocha profile. 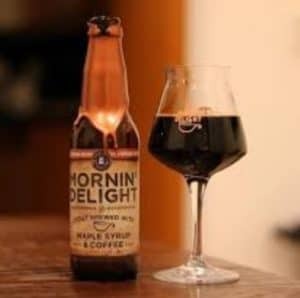 Toppling Goliath Brewing Company’s Kentucky Brunch Brand Stout is creamy and satisfying, loaded with coffee and is one of the best-tasting beers to drink. From the breathtaking bouquet to the lip-licking maple aftertaste you’re going to fall hard for KBBS. If you can find it. Because if there’s one downside here, it’s not with the liquor, but with the fact it’s not widely distributed. There are 10 Trappist monasteries in the world that brew. Almost none were known outside the local European communities where they are located. At least that was the case until word got out in 2005 that the Trappists of Saint Sixtus in Vleteren, Belgium might be producing a solid good tasting beer. 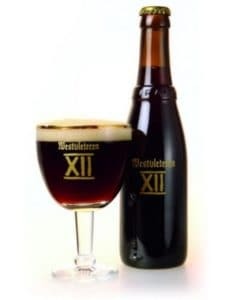 They call their brew Westvleteren XII and they produce 126,000 gallons of this dark, quadruple style ale per year. 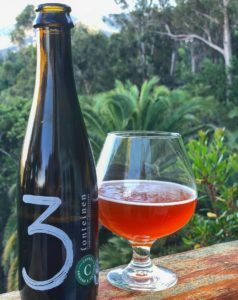 Cuvée Armand & Gaston Oude Gueuze utilizes the co mpany’s own lambic blend (a return to form after they were forced to use wort from other brewers for several years in the wake of a major equipment failure) to produce one of the most flavorful beers around. It has an attractive gold hue and a beige head with some real fortitude. The taste is slightly sweet with vague mineral overtones and the balance is complex and free from distractions. 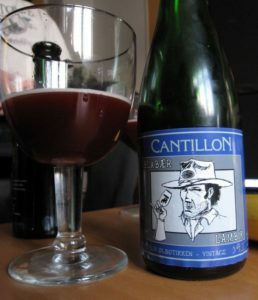 It’s really a best tasting beer to come from the lambic tradition. ABV 6%. Rumor has it that single cans of Heady Topper DIPA were recently selling in LA for $25 per can. And selling well. We don’t know if we’d pay that much but we’d surely consider it because this well-balanced, slightly fruity double IPA packs a subtle punch that’s more like a friendly nudge and leaves you with a clean, if slightly bitter, aftertaste. See also our list of top IPA Beers. 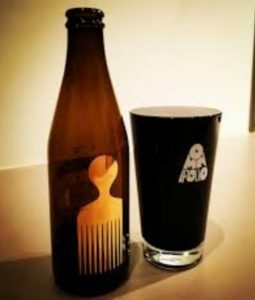 While the cartoony label here seems poorly considered don’t let it interfere with your enjoyment of the product itself which has coffee, molasses and vanilla overtones, a dark robust body, a creamy head that insists on its importance to the overall experience, and an ABV of 15%. 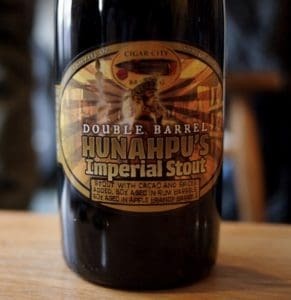 Here are some of our favorite stout beers. 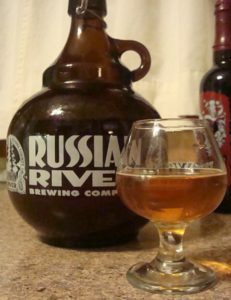 RR PtY is a hoppy brew for those who are enamored by those. 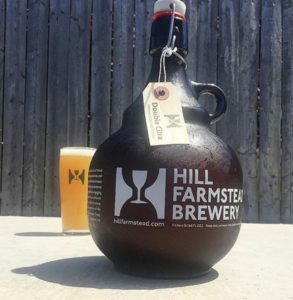 That hoppy flavor comes from the fact that this is not a DIPA — it’s actually a TIPA. That’s right, a triple India pale ale with three times the hops of a standard IPA. 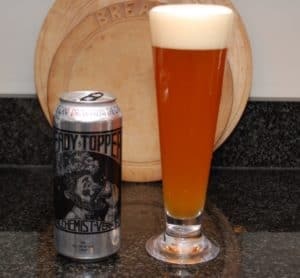 The aromatic hops seem to be the overriding feature of PtY, until you actually take a mouthful of this top-rated beer and the hops recede and a more refined flavor is tasted. 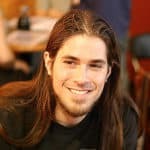 Lambic d’Aunis is an experimental beer (by its maker’s own admission) that attempts to repurpose an older species of grape which winds up infusing the brew with some peppery overtones. This particular brew is often mistaken for one of the brewery’s earlier efforts, Zwanze 2011. 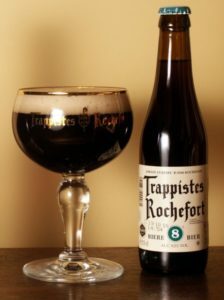 Brasserie de Rochefort Trappistes Rochefort 10 possesses a thick, frothy character, with sedimentary accents that seem to take command of your glass rather than simply fill it. The cacophony of aromas is mesmerizing and occupies virtually the entire spectrum from fruity to spicy with discrete remnants of the barrel-aged woods that gave it birth. 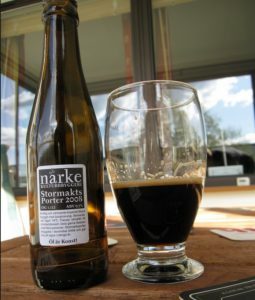 This is a special anniversary Russian Imperial Stout from Närke Kulturbryggeri in Örebro, Sweden. It’s brewed in bourbon oak barrels and has a personality infused with coffee, raspberry, chocolate and bourbon overtones. The aroma is easy on the nose with a slightly acidic quality while the taste is rather syrupy, sweet and heavy. Some postulate that this only makes it into discussions about the best tasting beer because it’s fairly hard to get a hold of. At 16% ABV this Polish quad beer lives up to the “whiskey” in its name. The taste is very dark with caramel and date overtones that also exudes an air of cognac and even heavy oak. If you like your craft beer to take command of your senses this is the one for you. Heavy and potent, it has a rich taste that doesn’t cross the line into punishment just to make its point. Hoppy and pleasant, this is a top rated beer that aims to please and does so from pouring to lip-licking conclusion. This is a malty brew with citrus overtones and a slightly yeasty appearance. It’s full-bodied but not heavy, with a pleasant character that promotes a nice, leisurely appreciation. 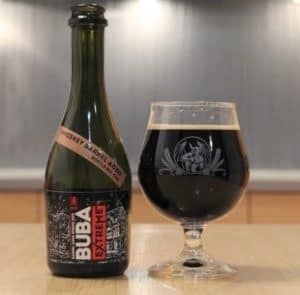 When it comes to good beers, Cigar City’s Hunahpu Imperial Stout is like motor oil for your soul and in some ways might be the best flavored beer in the world. 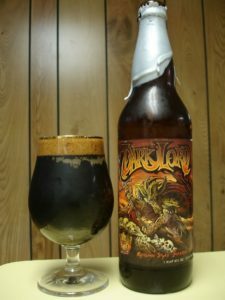 Inky black and seemingly lacking in carbonation, it slides down the throat in a lugubrious fashion that suggests you’ve done something wrong but then leaves a most satisfying bouquet of residue behind that speaks of oak, pepper, bourbon, chocolate and vanilla. You can also watch this imperial stout’s review on this clip from Gregsbeerreviews. Unless you’re living the Roadhouse Blues lifestyle we’d advise against having too many of these first thing in the morning because, although delightful, the kick here is real. The maple syrup-infused aroma is pleasant to consider though. This robust brew is well balanced with the muskier overtones playing off beautifully against the sweetness. You might want to just park your face over it and breathe in the ambience for a while before taking a drink. 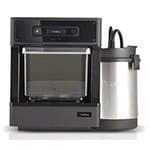 One of the many surprising things about the brew is that what you smell is what you taste. If you can ignore the slightly creepy hand on the label reaching out toward you then you’ll find plenty inside a bottle of DIPA V3 to love. 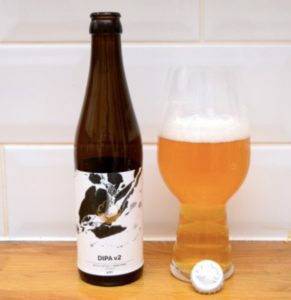 With this iteration, Cloudwater faithfully revisits one of their most successful ales. V3 has a lovely pale yellow coloration to go with its moderate carbonation and fruity bouquet. This is a typical Belgian lager with a mild hoppy aroma and a delightful light straw color. It’s easy on the palate, produces a head with decent fortitude and is always among one of the top-rated beers. 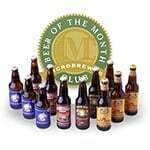 See here for are some other great Belgian Beers. White from Chimay is a hoppy, aromatic Trappist Belgian ale. It boasts a mild fruity aroma with oh-so-subtle spicy overtones and is one of the tastiest beers the Trappists make. 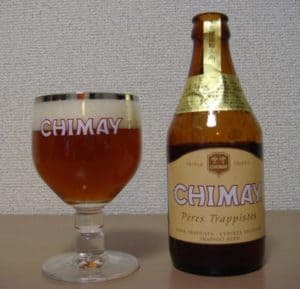 Chimay also boasts what is without a doubt the widest market penetration of any of the Trappist ales and is widely available not only in Europe but also here in North America. 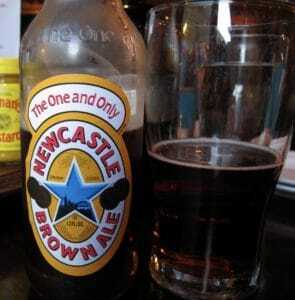 Like Stella Artois, Newcastle Brown Ale is the product of a major international brewing conglomerate (in this case Heineken N.V.). Also, like Stella, Newcastle is none the worse for the experience. While it may not be the undisputed best beer in the world, it is a dependable, flavorful brown ale that makes a nice bridge between mainstream products and genuine craft beer. 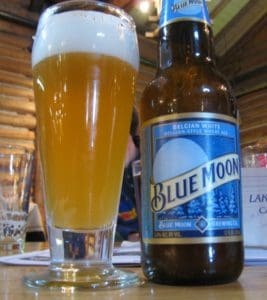 If you’re looking for top-rated beers you can serve at your next holiday barbeque then you can’t lose with Blue Moon. Yet another beer produced by a major brewery (this time Coors), Blue Moon nonetheless provides a very pleasant bouquet and, because it’s styled after classic Belgian ales, it sports a slightly cloudy appearance as a consequence of its unfiltered nature. 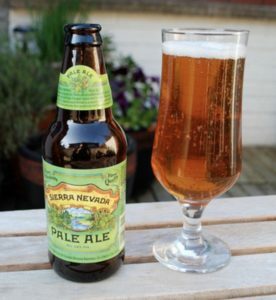 We end this journey through the world’s top rated beer with this American pale ale from Sierra Nevada. SNPA boasts a slightly fruity aroma but is wonderfully balanced with sweetish malty notes and a discrete floral air. Nothing here that’s going to shake the beer world to its foundations yet at the same time a nice alternative to mainstream American lagers. 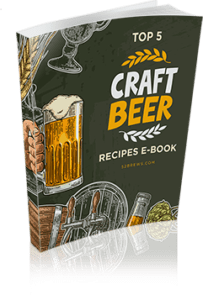 The craft beer revolution of the late 20th and early 21st century has produced an embarrassment of riches for brew lovers. 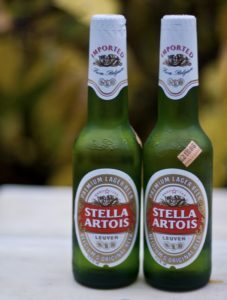 The top beers profiled above, whether produced in limited runs by Trappist monks or in the millions of gallons by international conglomerates, have all passed muster with connoisseurs on both sides of the pond who agree they are good beers to try. 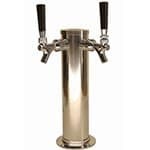 While some will be harder to track down than others, no true beer aficionado should pass up the opportunity to snag one of these outstanding examples of the brewer’s art should they turn out to be available. 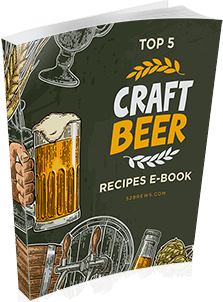 If, on the other hand, you want to try making your own brew, check out this simple guide on home brewing: Beer Brewing Made Easy. 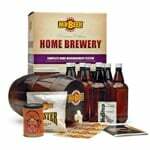 You’ll surely find something for you here whether you’re a complete beginner or a beer brewing expert.